I want to be able to use my songs from Apple Music as a ringtone... is that possible? How can I do that? Please help. Ringtones are one of the easiest ways of personalizing your iPhone. 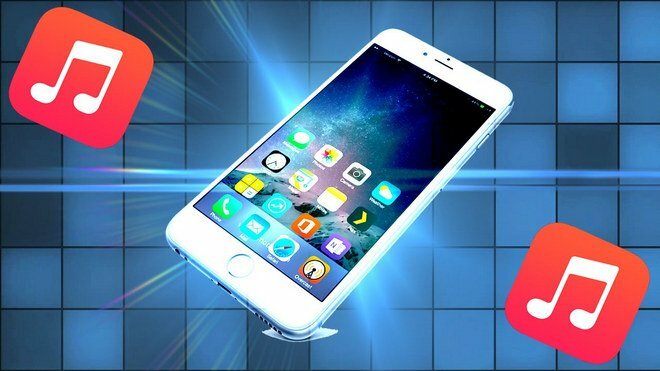 Though the ringtone that comes with the iPhone is fine, most people prefer to change the default ringtone to something they like better, especially when they find some amazing and pleasant songs in Apple Music. But they will feel frustrated for that each of Apple Music songs are encoded with DRM and can’t be downloaded to make a ringtone. Even the subscriber can’t set their favorite track from Apple Music as iPhone Ringtone. Is there really no way to use Apple Music songs as iPhone ringtone? 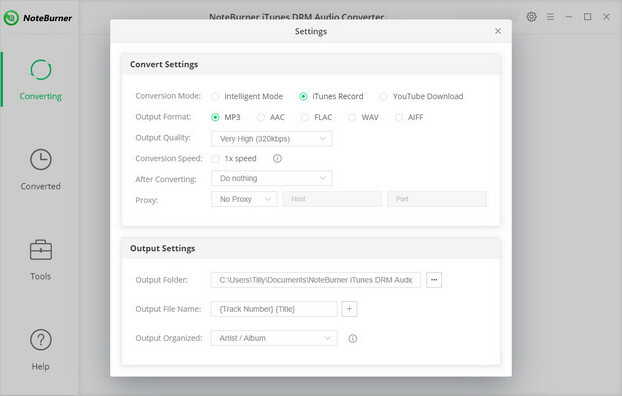 No, don’t worry, NoteBunrer Apple Music Converter, an amazing Apple Music Downloader, comes to rescue you. 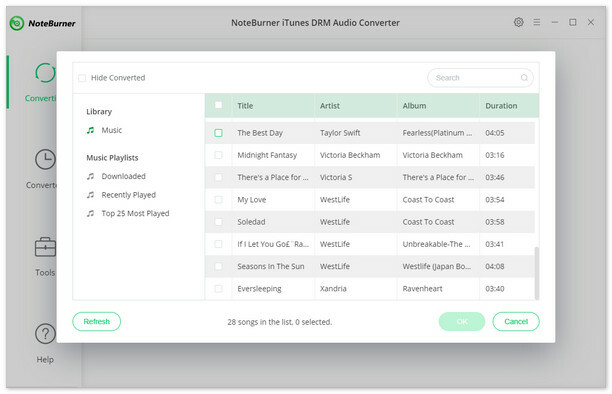 It will help you legally remove DRM from Apple Music songs and playlists and convert Apple Music files, audiobooks, or other downloaded music from iTunes or Apple Music to MP3, FLAC, AAC or WAV format. In this way, you can keep your favorite Apple Music songs on your computer forever, and set them as your special iPhone ringtone. The following is the detailed tutorial to guide you to remove DRM from Apple Music songs and use the converted Apple Music as iPhone ringtone. Please download NoteBurner Apple Music Converter first before getting started. After the successful adding, the next one is choosing the output format according to your need. Clicking the button "setting", in the pop-up window, you can choose output path, output format, and even the conversion speed. WAV, AAC, MP3, and FLAC are available to choose. After conversion, now you need a ringtone maker to help you turn the converted Apple Music songs into ringtone. 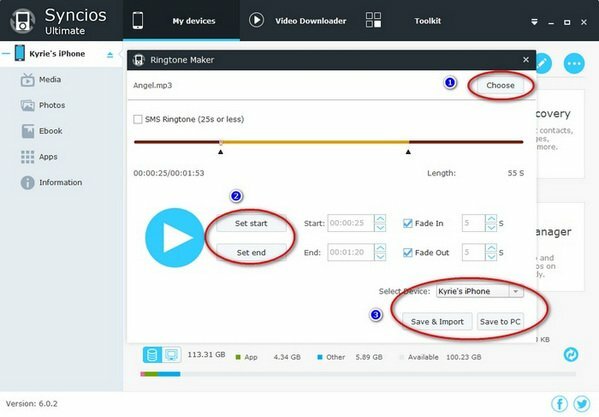 Syncios Ringtone Maker is a great choice for you, which is a simple freeware to make your own ringtones of your favorite song and transfer it to your iPhone. 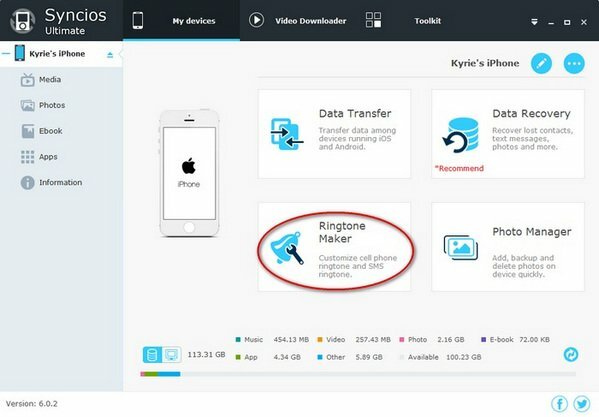 Please download the Syncios Ringtone Maker ( Mac & Windows) to PC first. Then connect your iPhone to computer via USB cable, launch Syncios Ringtone Maker and select "Ringtone Maker". Directly drag the converted Apple Music track from the output folder to the program interface. Edit the fragment you want for ringtone. After edition, please select "Save & Import". Finally, please find the ringtone file you just imported into your iPhone and set it as your special ringtone.